Eli Wallace is a pianist, improviser, and composer. He draws influences from freely improvised music, 20th century classical music, avant-garde and straight ahead jazz, and the inescapable influence of rock and groove-oriented music. As an improviser his jazz language informs his more exploratory tendencies for unique timbres, harmonies, off kilter rhythms, and spontaneous structures. As a composer, his music takes influence from the great tradition of jazz and 20th century classical music, employing structural or chordal improvisation when appropriate. Often times his music is ethereal but he is not afraid to use driving rhythmic patterns when the situation calls for such appropriation. For this concert he will be going back and forth between new compositions, older established repertoire, and will weave these pre-conceived ideas together via spontaneous improvisations. Eli Wallace received his Bachelor’s of Music in piano performance in 2009 from Lawrence University, Appleton, WI. Thereafter, he graduated from New England Conservatory, Boston, MA in 2011 with a Master’s in Music in Jazz Composition where he studied with Jerry Bergonzi, Ken Schaphorst, Frank Carlberg, Kati Agocs and Jason Moran. 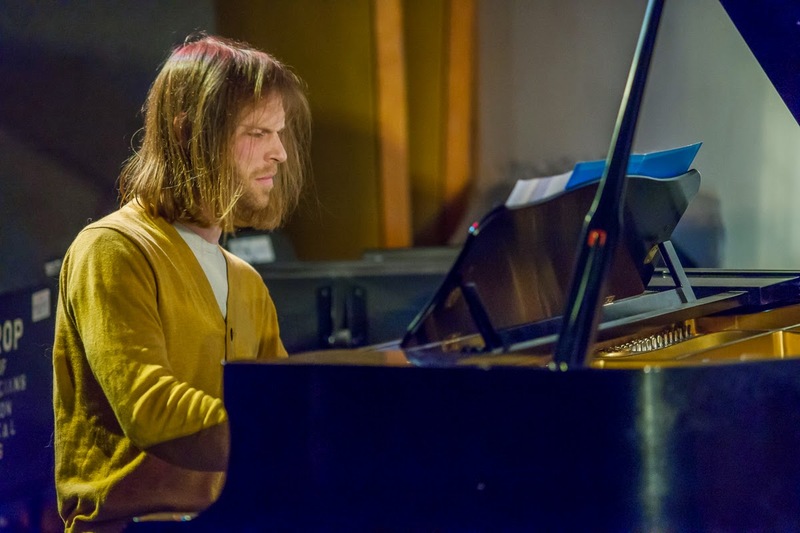 Thereafter, he emerged as an active player in the Bay Area music community leading his own solo piano project, his trio Cabbages, Captain, & King, and his experimental jazz quintet piece Platform Series. He also plays with other groups that include Karl Evangelista’s Ai-Ai, Bill Noertker’s Moxie, Virtual Assembly, Inner Ear Brigade, Images: the music of Sun Ra, Avant Red, Low Standards, Denny Denny Breakfast, Herman Roque latin jazz project, and many others. As a composer he’s received commissions to write music for solo piano, large jazz ensemble, and studio orchestra. Recently he performed a commissioned work at Jazz at Lincoln Center, New York, NY and Oberlin Dance Conservatory, San Francisco, CA with dancer/choreographer Randee Paufve. He was also awarded Honorable Mention after submitting his piece “Influx Rebellion” to the EarShot Jazz Composers Orchestra Institute Readings (in affiliation with Columbia University and the American Composers Orchestra).